Soooo I couldn’t resist making an Ombre Wrap Bracelet with all of the different shades of green gemstone beads that I have in stock. I thought the different greens of the jade, aventurine, and unakite, gemstone beads would look great and give this bracelet a unique look as they faded into each other. 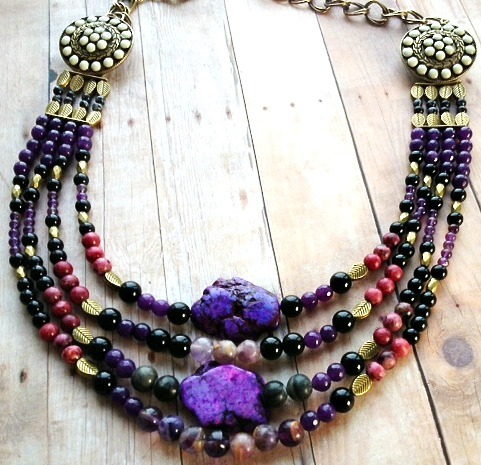 Each set of 9 gemstone beads flows into the next set getting increasingly lighter like the ombre look. 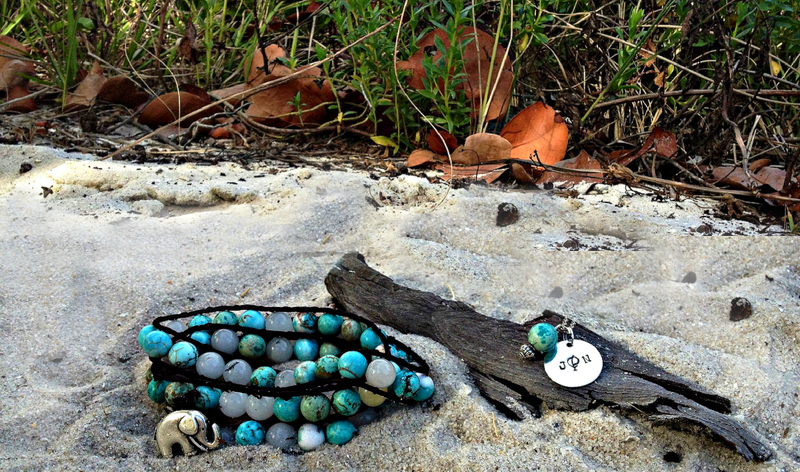 This lakeshore lavaliere ombre wrap bracelet is a great unique & bohemian accessory to add to any look. Today’s post is allll about bib necklaces– after making the turquoise and coral bohemian bib necklace to spice up my blah outfit choices during this bleak Chicago winter (ignore that yesterday was 65 degrees outside…I have faith that later today or tomorrow it will be frigid and bleak and drop back down to the single digits) I really fell in love with creating different pieces in this style. 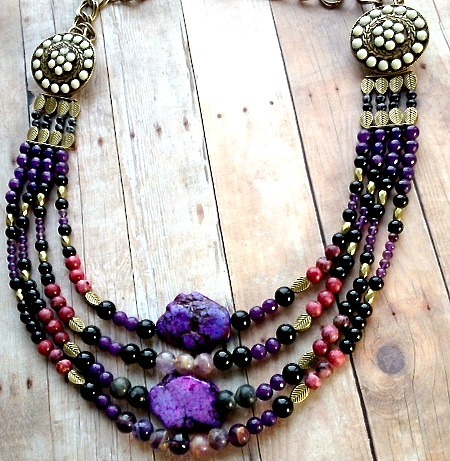 Each bib necklace can be completely different despite the fact that they all essentially are a combination of several layers of bead strands of increasing lengths. They can be loud or even muted depending on the color, they can be bohemian but also classic (i.e. silver accents with pearls)- there are so many different options to create a necklace like the two lakeshore lavaliere bib necklaces below by starting with the same design. Different gemstones, metals, pendants and bead combinations make each one completely unique and change the way any necklace highlights or accents an outfit, but with a type of necklace that is as large as a bib necklace, the colors and components really do shape the style of your outfit or the statement that it makes. Funky and loud or muted and classic, I think bib necklaces might be my new favorite style for 2013. To access the listings in the lakeshore lavaliere online shop….. Just Click the Pictures! I just love how the turquoise and coral look together; this necklace has exactly the amount of color to accessorize a colorless outfit and make sure it looks anything but boring! love them as a set!